Hello, everyone! My name is Hannah, and I recently returned from a field trip with the Lizard Lab. 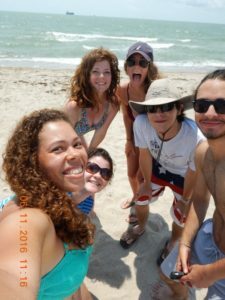 We went together to Corpus Christi, Texas where we spent two days exploring the beautiful South Texas Botanical Gardens and studying the lizards there. If you don’t know where Corpus Christi is, it’s a city on the coast of the Gulf of Mexico, so there are lots of palm trees, sea gulls, and salty sea air. What were we doing there? 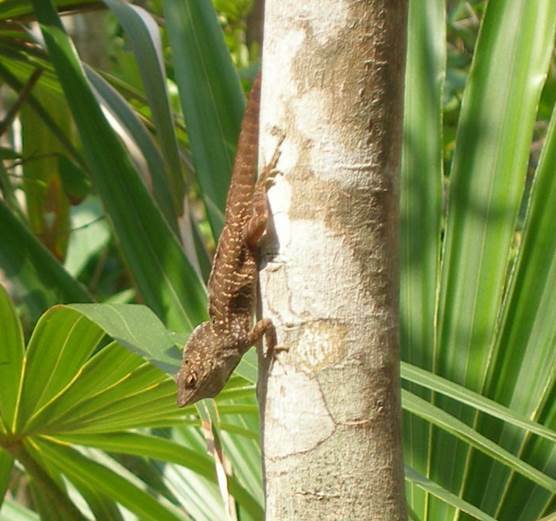 We were looking for a species of lizard called Anolis sagrei (pronounced “uh-nol-es say-gree-eye”), better known as brown anoles, and they were everywhere! Our goal was to observe the way male and female lizards behave, something that I’m sure you’ve read about in previous posts on our blog! observe wild lizards! 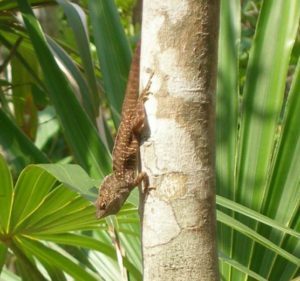 I learned just how challenging it can be to watch lizards – sometimes when I wrote notes in my field notebook, I would look up and the lizard would be gone! The lizards run into the bushes and dart to other perches, and if you aren’t paying close attention, you might not be able to see where it went. It takes a lot of focus (and practice) to make sure you don’t lose sight of a lizard so that you can get as much data as possible. 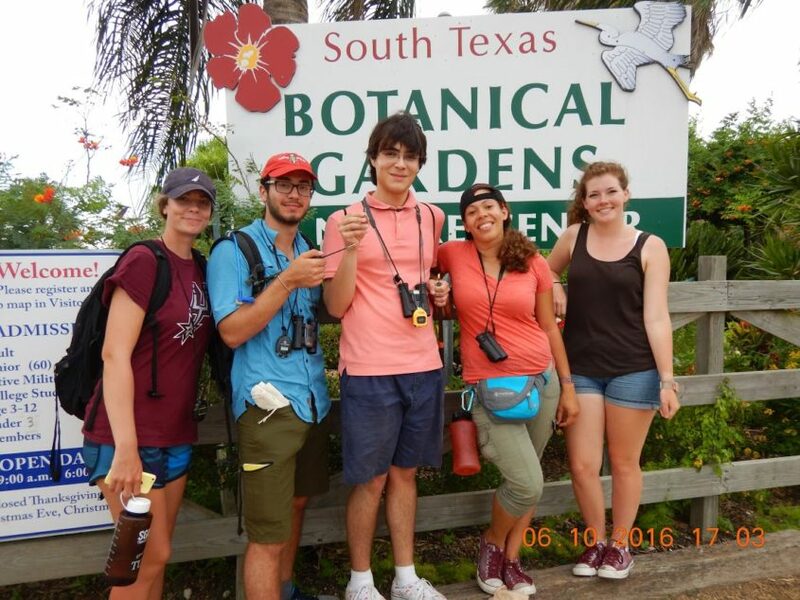 A group of six of us from the Lizard Lab worked together on this trip, and at the end of the second day, we had reached our goal of completing over 50 hours of observation time. That is a ton of hours for only two days of work! The only way we were able to reach this big goal was through lots of communication and teamwork. We worked in pairs in different sections of the garden, carefully searching the entire area and observing every lizard we could find. Then, we would report our observations to Dr. Johnson so that we always knew how many lizards we had watched, and how many more we had to go. Thanks to all of our hard work, we had some extra time to enjoy the beach before heading back to San Antonio! We’re spending all summer working closely as a team, and its fun to have good friends in the lab to do science together! Hannah is a junior studying biology and neuroscience. She's from Galveston, Texas, and works as a life guard for Beach Patrol.